Over the past several weeks I have received several inquires regarding evacuation with Machine Guns or other NFA firearms. While I always recommend obtaining Form 20 approvals for all NFA firearms in advance for each state you may travel to in the next year, sometimes this does not happen or could not happen because of timing. I have good news for those of you who did not obtain Form 20’s in advance and are evacuating because of a named storm, in this case IRMA. Is a Form 20 Necessary for a Suppressor? One of the great things about a well written gun trust is that it can be created to deal with multi state issues. Many people move and even include co-trustees or authorized users who move or are in other states. If your gun trust is only written to deal with your state laws, the chance that it will provide incorrect or misleading advice to others involved with your trust is increasing. We see these issues with many online trusts. An ATF Form 20 is not required when you move states. A Form 20 is only required for Title II firearms other than suppressors. That being said, I recommend completing a Form 20 even for suppressors. For those of you who have our gun trusts, we include a section in our instructions that goes into detail on this topic. Most police officers do not know that suppressors are legal (yes, I know this is hard to believe). Given that, I would much rather have a document from the federal government (the form 20) stating that I or other members of my trust are permitted to be in a state. It is much easier and less expensive to have these issues resolved before you are detained than after your items are taken or you are detained. With this in mind, you may also want to get a Form 20 approval for traveling to states and not just for a change of address to another state. A Form 20 is not required if you are staying within the same state, even if you move within the state. A well written gun trust will include information like this and on other common topics that come up over time. Can I Ship a SBR or SBS by US Mail? Short answer – Individuals or Trustees cannot, Dealers can. The reason you can ship a riffle or shotgun by the United States Postal Service but not a Short-Barreled Rifle or Short-Barreled Shotgun is because of how Pistols are defined by the USPS. What are the shipping requirements for items in my NFA trust for Trustees in different states? The items are legal in both states and the personnel involved can legally possess the items. I also understand the commercial carrier and USPS shipping restrictions (at least think I do). As there is no transfer of ownership, must the items be transported with a FFL? Our Trust allows one Trustee to ship to another Co-Trustee who is located in a different state a NFA Firearm that is an asset of the Gun Trust with the advanced approval from the ATF by using an ATF Form 5320.20. There is no requirement to use a FFL as the owner is not changing. The Gun Trust will be the owner of the firearm prior to and after the shipment. ATF receives numerous telephone and electronic inquiries on a daily basis. In an effort to provide individuals with the most up-to-date information, ATF has compiled a list of the top 10 most frequently asked questions and provided answers to those questions. Several of the questions deal with the manufacture, sale, use, and transfer of firearms subject to the NFA. Can a person prohibited by law from possessing a firearm acquire and use a black powder muzzle-loading firearm? May I lawfully transfer a firearm to a friend who resides in a different State? The ATF National Firearms Act (NFA) Branch is pleased to announce that as of July 2011, ATF Forms 1, 2, 10 and ATF Form 5320.20 will be assigned to a legal instruments examiner for processing according to the State of the applicant’s address. The NFA Branch also will begin assigning ATF Forms 3, ATF Form 4 and 9 applications to examiners by the State of the transferor’s address. Applications already pending at the time of the change will continue to be processed by the examiner to whom they were previously assigned. Historically, applications in the NFA Branch have been assigned to legal instruments examiners alphabetically based on the name of the transferor or applicant. A chart showing the new assignment distribution is below. The ATF expects this change in the assignment of applications to better enable NFA examiners to develop State law expertise and more knowledgeably and effectively respond to our customers during an era of unprecedented and ever increasing application volume. Please contact the NFA Branch at 304-616-4500 with any questions about this change. What Happens With My Gun Trust When I Move to Another State. Besides dealing with the issues of physically moving the firearms across state lines, which is covered in our Memorandum that comes with the trust in the section entitled What is necessary if I want to take the firearms across state lines or change the location where they are stored?, we are often asked about the effect of moving states on the Gun Trust itself. Generally moving from one state to another will not require any changes to the trust with the exception of the state of Maine (only if you want to make additional Title II purchases). A validly created Trust in one state, is valid in another state if you move. Depending on the language in the trust, the rules that it references may change or not. Generally our trusts will still reference the original state’s laws once you move. This can be changed if you desire but is typically not necessary. More importantly the ATF looks at the minimum requirements for a valid trust in the state in which it is being used. 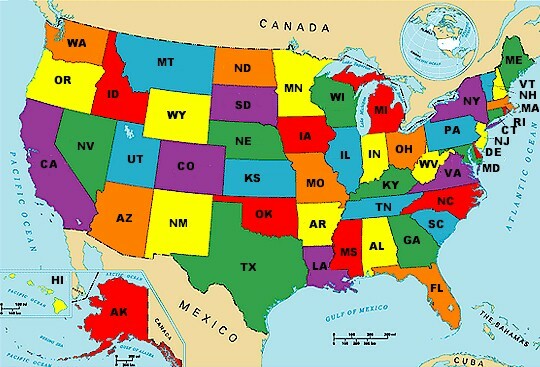 Our trusts meet the minimum requirements of any state where the items are legal. Is it legal to take my NFA Firearms on an Airplane (Class 3, Title II)? Yes it is legal in most instances to travel with your NFA firearms (those sold by a class 3 dealer and often referred to as TItle II firearms). You will have the same restrictions as traveling with a normal firearm but also need to comply with the regulations for interstate travel with a NFA firearm. For more information on transporting NFA firearms across state lines see our ATF Form 5320.20 page. Remember that they need to be legal in your destination state. Form 20 Application to Transport NFA Firearms. We have created a reference page for questions related to Form 20 and transportation. Please visit https://www.guntrustlawyer.com/form20.html for more information and to download a pdf version of the ATF Form 20 – f532020-20.